On June 10, 2016, Ms. Shelby Smith graduated from the Washington School for Girls (WSG) located at THEARC campus in Washington, DC. 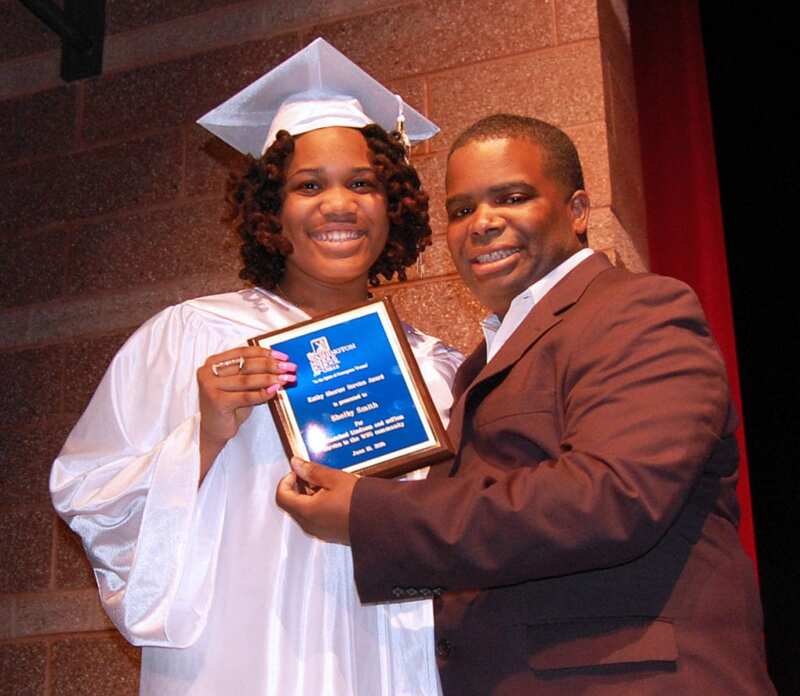 She was the recipient of the Kathy Shorter Service Award. The award is named after a founding faculty member who made her life the work of a strong WSG. The award is given to a student who, during the course of their enrollment at the school, served their peers and made the school better. Shelby saw a need to serve others when she noticed a group of fifth graders from The View, another campus of the WSG, coming to THEARC daily to wait for the bus to take them to their after-school program and needing help with their homework. In wanting to assist others, she volunteered to be their tutor. Also, when WSG established a bus service to transport students from The View campus to THEARC campus, the leaders of the school were concerned about ensuring the safety of the students between campuses. Again, Shelby stepped up and volunteered to be a chaperone for the students. Shelby has always been concerned for the welfare of others. When given an assignment in science, she developed and designed her own Extended Day Club for sixth graders. The club’s vision is to promote self-esteem, positive behaviors and team work among the students.